Ham and bean soup is a hard-to-beat classic. While we hate messing with perfection, sometimes it is fun to take a new approach on something timeless. While this recipe has all the makings of a traditional pot of ham and beans, some subtle differences make it a unique turn that you’ll definitely want in your recipe book. There are two things that make this recipe unique: preparation and taste. 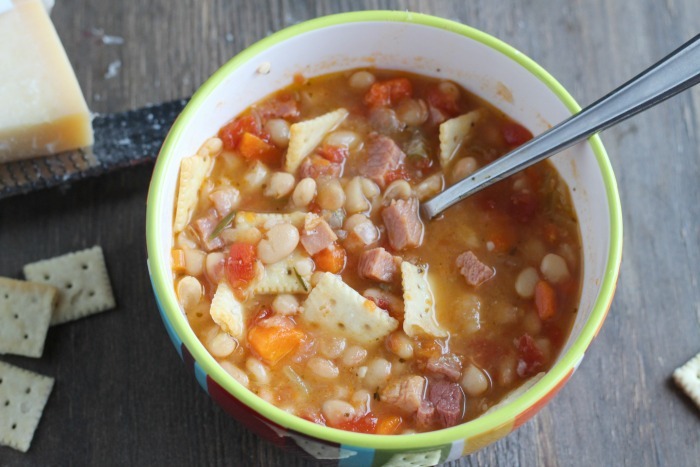 Our food blogger Ashleigh tried something a little different this time around with this ham and bean soup recipe. Instead of preparing it in a pot or slow cooker she made it in a rice cooker. That’s right, a rice cooker. Working in a very similar way that slow cookers do, a rice cooker replicates the same slow-cooked flavor in a fraction of the time. If you don’t have a rice cooker handy don’t sweat it! 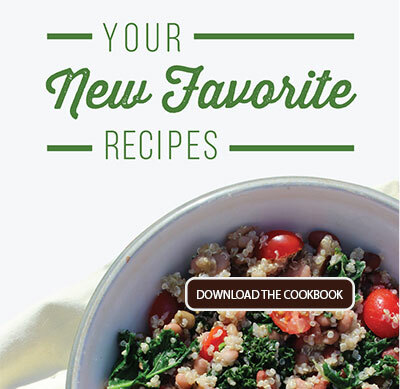 This recipe tastes just as good prepared on your stovetop or in your slow cooker. Just adjust the recipe accordingly. The second change to this recipe is that it boasts some bigger and bolder flavors. As you probably guessed from the name, Ashleigh introduced some Italian seasonings, bay leaves and fresh rosemary to her concoction. 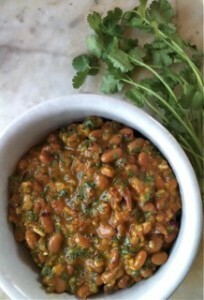 In doing so, she preserved that meaty flavor of ham and beans you love but just gave it a fresh kick in the pants. Being organically certified, we love our organically-grown beans. They are so plump and full of flavor! 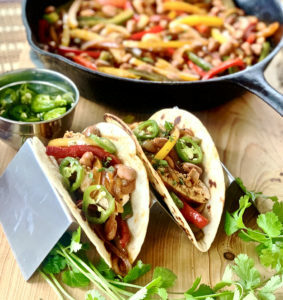 Our organic great northern beans work particularly well in this recipe but if you don’t have any on hand, our traditionally-grown variety are a perfect swap. 1-1.25 lbs ham steak, cut into cubes—saving the bone! Set your Rice Cooker to the sautee setting. Add oil and allow to heat up for 2-3 minutes. Add celery, onion and carrots. Allow to soften for 3-4 minutes. Season with Italian seasoning and minced garlic. Stir to incorporate. Slowly add ham cubes and bay leaves, stirring. Pour rinsed beans and can of tomatoes with juice. Pour in chicken stock and add entire stalk of rosemary. Turn rice cooker to soup setting and allow to cook for designated time. Once timer beeps, remove bay leaves and rosemary. Use a masher or hand blender to puree segments of the soup to thicken, leaving some beans whole. 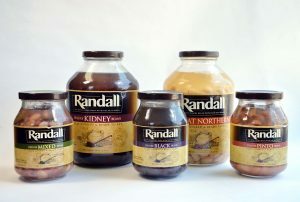 Can’t find Randall Beans at your local grocery store? Don’t worry! You can always have our jarred beans shipped straight to your door from our online store. Get a jar of your favorites or try a sampler pack. This Italian recipe is a perfect, filling dinner to prepare with ham and beans.